In case you have not noticed, St. Charles and St. Charles County has more than overcome the old adage that it was a craft beer desert. In fact, it is fair to say that the area is not just exploding, but is now a fixture among destination beer lovers, looking for an adventure that won’t take them ‘out’ of town. Right now, the area boasts eight established breweries, each creating and brewing their own unique beers and creating their own unique identities. But for one week, starting April 23rd, these eight beer makers will come together to celebrate their craft and show off what they do best. 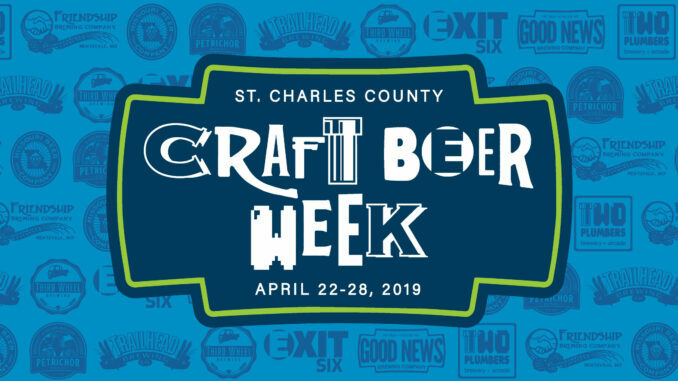 That said, the beer highlight of the week will be that each of the eight St. Charles County breweries are brewing a stout using the same recipe, and then adding their own unique twist. The breweries are releasing these stouts on different days so you can sample them at each venue.